Hundreds of thousands of people suffer from hay fever, and this season is shaping up to be one of the worst in years. The late spring has compressed the season, and there’s been little rain to wash the pollen out of the air. Tree pollen is very large and very obvious, but wild bluegrass and other turf grasses are blooming as well, which is contributing to this mega-tsunami of pollen. Last Thursday, the tree pollen count was very high — 4,852 grains per cubic mete. Grass, mold, weed and ragweed counts were absent. Very high pollen levels — greater than 1,500 grains per cubic meter — tend to affect most people who suffer from the pollen types that are in season. Symptoms may become more severe during days with high pollen levels. According to the American Academy of Allergy, Asthma & Immunology, roughly 7.8 percent of people 18 and over in the U.S. have hay fever. All told, 35 million Americans suffer from hay fever, which stems from pollen released into the air by trees, plants and grasses. If pollen is inhaled by someone with allergies, the person’s immune system mistakenly kicks in to fight what it perceives as foreign antibodies. As a result, the immune system releases histamines into the blood, causing sniffling, sneezing, itchy eyes, runny nose and other common allergy symptoms. Hay fever also triggers asthma attacks, and if your allergy symptoms become increasingly severe, be sure to contact your physician to see if you’re at greater risk of getting asthma or an asthma attack. •Minimize outdoor activity when pollen counts are high. 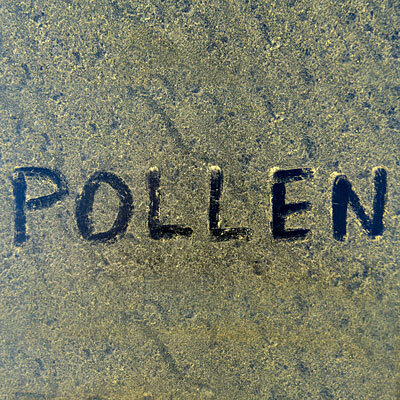 Peak pollen times are usually between 10 a.m. and 4 p.m.
•Shut windows in your house on days when pollen counts are high. Avoid using window fans that may draw pollen inside. Vacuum at least twice a week. Shut car windows. •Dry laundry indoors. Sheets hanging on an outside line are an easy target for blowing pollen. •When mowing the lawn or gardening, wear a filter mask. •Take a shower, wash your hair and change your clothes after you go outside. •Take over-the-counter antihistamines, decongestants, nasal spray or eye drops. •If these actions do not help, people with allergy symptoms should consult a physician to see if they need to see a specialist or need prescription-strength medicine.